Drew did a great job keeping our complex deal together through a subdivision approval all the way to a quiet title. Thanks for everything Drew. If you have any questions about Drew, I would be happy to speak with you. Drew sold my 520 acres in Pawnee, OK and it was a very pleasant experience. He had a buyer for the property before we even listed it! He is very honest and really works hard to get things done! You can tell this wasn't Drew's first ranch sale as he kept everything in line and looked out for my best interest. I have no complaints and would refer him in a heartbeat! My favorite part of working with Drew was the fellowship. He is a smart young man that does his job well! Thanks! What "rights" come with your property? The highly-anticipated Land Market Survey is out! Recreational land is different than other land types. 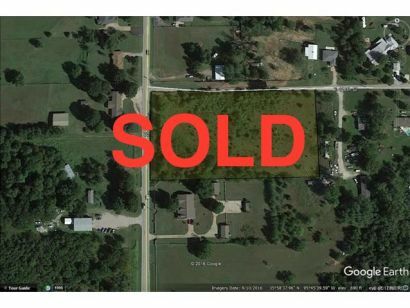 Listed and SOLD in no time!